Cleo & Cuquin Family Fun! Cleo & Cuquin Family Fun! Math kits, along with the Explore and Learn App, are a unique mix of print and digital hands-on activities and games. All materials are in Spanish and English, designed to prepare children for success in kindergarten math. Apps play on most mobile devices (iOS and Android) and can be downloaded and used independently, but also come as a component of each kit for an even richer integrated experience. Register your Explore and Learn App now! Kindergarten Readiness Starts at Home! 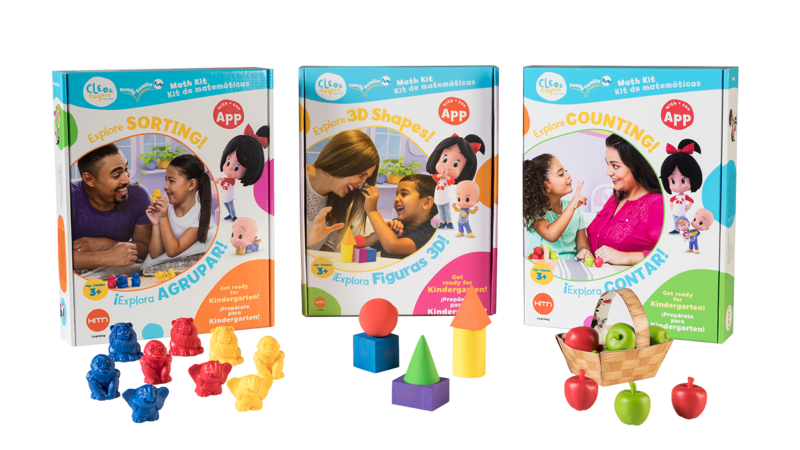 Three kits — COUNTING, SORTING and 3D SHAPES — focus on standards-based math skills that provide a strong foundation for kindergarten learning and success. Cleo & Cuquin Family Fun! Math kits with Apps are based on resources developed and evaluated under a Ready To Learn grant from the U.S. Department of Education. Move and Learn Poster – kids will love to sing, play, and move to learn! Play and Learn Board Game – for the whole family! 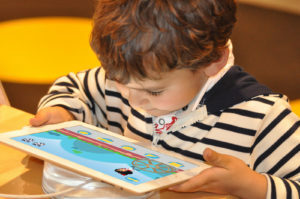 AR Explorer – Kids point a device at the back cover of the Read and Learn Book, and the app’s Augmented Reality feature makes an aspect of the story come to life with digital interactivity. Notebook – Children will find interactive digital lessons and explorations to increase their interest in, and knowledge of, math. Games – Kids explore three levels of math practice. 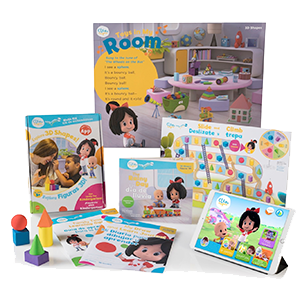 StoryMaker – Children use backgrounds and stickers to retell their own version of the Read and Learn Book as they record their stories and replay them. Bonus Content – Videos, puzzles, and more unlock as kids progress. Parent Dashboard – Parents review each child’s progress through informative interactive charts and tables.